So, I want to plan a mid year warm/hot Aussie family holiday. What does everyone go for? NT is great. Of course it is Australia so if you are not flying between places there is a LOT of driving. Even ASP to Uluru is a drive. But it is also a great experience. Especially if you can get your kids to buy into it. To get them to appreciate the scale of the country. Seeing such exceptional and very contrasting geographical features as Uluru, the Olgas (Kata Juta) and Mt Conner in such a relatively small area. And also appreciating the culture of the outback. Stop in those small towns along the way to get treats for them and appreciate the stop. Further north of course is Kakadu, which is a half day drive out of Darwin, which you can then loop down to Katherine then back up via Pine Creek and Litchfield NP. I prefer to do the north of the NT in the Wet as it really is such a different country at that time. (Though global warming is killing the Wet too). The NT was really different from the rest of Australia but getting more and more homogenised, so get there before it gets even more like the rest of us! Hamilton Island is not far enough north To satisfy your hot requirement in winter. NT (north not central) and the Kimberley’s/Broome are the best bets at that time of year for hot. NT being the easiest to get to. We go to Palm Cove or Port Douglas or Broome. Uluru isn’t hot mid year. 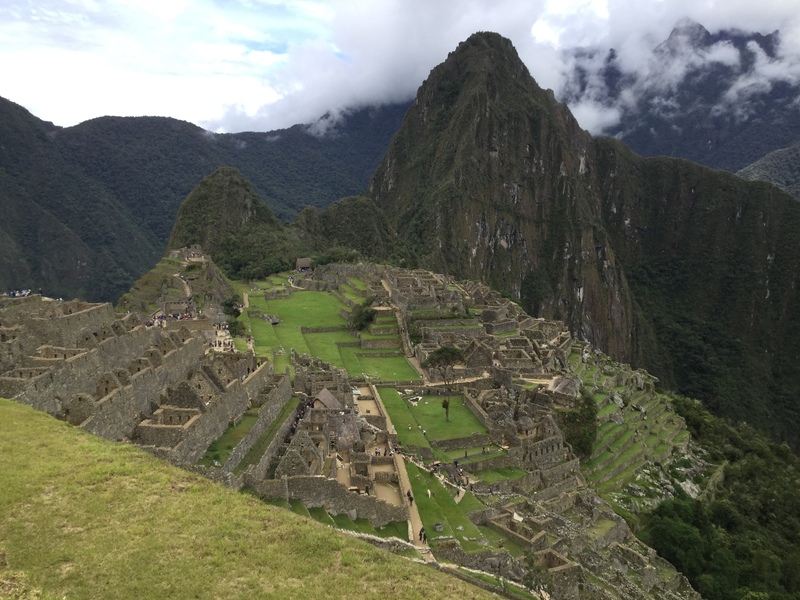 Machu Picchu? Do I go next with the photos? Great pic, Gwilty. How was it? Train. Jesus anyone who hikes to MP must be half insane imo. At altitude it’s even damn hard even ascending the rough steps to the ruins from the entrance! On my way up yesterday, stretcher bearers were carrying down a young Chinese guy who was on oxygen. Really? MP is about 900m lower than Cuzco tho, so that sounds a bit odd. There are various duration hikes from 4 days to a mere 6 hours (I think). The train I was on stopped in the middle of the jungle (no platform, nothing) and about 10 hikers left for that shorter hike. Insane here and I wasn’t particularly fit. 4 days, well worth it, absolutely amazing experience. The stairs were the real killer, on the joints. As mentioned its actually not that high at the end, and most treks take you up each day then camp for the night is at lower altitude. Also helps even if you just spend regular time at higher altitude along the way, not just quickly in, up and back out again. We trained it to MP 20 years ago 'cos wifey copped a bout of Giardia from a rogue salad at Chiclayo airport. It mixed well with the effects of altitude in Cuzco. Agree altitude sickness is about rate of ascent. My worst experience was taking a landrover direct from Quito (2,850m) to the refuge at Cotapaxi volcano (4,800m), then hopping out. It took an hour to walk 100m to the hut - take a step, recover for 2 mins…take a step, recover for 2 mins… We wondered why our driver wanted to stay in the car. Lol yeah, we took a bus trip somewhere and at one point they let us out at well over 5000. We were warned to take it easy. Had to cross a single lane road to a viewpoint and tried to beat a car. Thought I was going to die when I got to the other side, my lungs were burning, everything was spinning, felt weak. Had to sit on a rock and recover for about 10 mins. Moved about very slowly after that. Yep. And you never know who will be hit hardest. A colleague of mine spent years planning a dream hike to Gokyo Lakes in Nepal & had to turn back a day or two in. He was as fit & prepared as you could want but was faced with seriously deteriorating health at 4000m. I climbed Fuji-san 15 odd years ago with four super fit mates. We didn’t cheat like most (starting 1/2 way up the mountain at what the Japanese call the 5th station). We started at the train station we exited and took the Gotemba route to the summit. Around 3,000m, one of my mates starting feeling the effects of altitude sickness. Vomiting, etc. Another mate used an oxygen can to help him. I was super fit at the time, but really struggled to the summit (3,776m). High altitude sickness affects people in different ways and often regardless of fitness. It’s scary how quick things can change. We had a Canadian lady on our trip who was well prepared and a seasoned traveller. She had been/stayed at higher points during the trip/elsewhere but took ill in Cusco, medical emergency and had to be evacuated out to sea level immediately. Had to go home and missed the highlight of the trip. Legal cocaine leaves help/rock though. You might be interested, JR, my friend just co-wrote a book about hiking the Japan Alps. 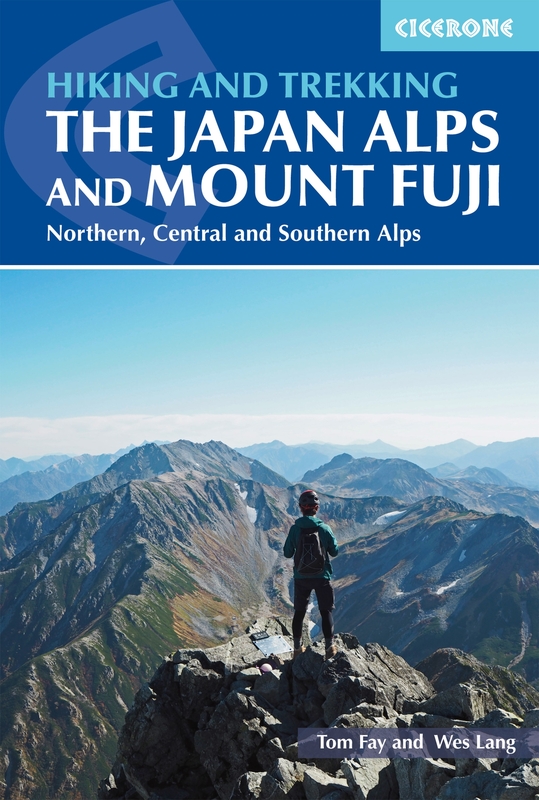 Guidebook of day-walks, shorter (2–8 day) treks and the four main routes to climb Mt Fuji (Japan's highest mountain). Also includes a further route on Mount Kurodake and many of the highest peaks. Fantastic! Thanks kindly, Jez-san. I’ll buy it to support your mate. I am collating my climbing notes and will publish something in the future - whether it be the ‘hyakumeizan’ when I actually finish it, or something else like the Shikoku pilgrimage, etc. Cheers, dude.